This list of baby exersaucers is for all of you that are looking for an exersaucer for a baby–your own, your grandchild, baby of a friend or family… I hope you will find the one you are looking for in this list. Babies love these exersaucers and they are very helpful to parents that need to entertain their babies. My 2 year old granddaughter has wanted to get into her old exersaucer that I have gotten out for her cousin that is 5 months old. She has been back in it and played for a little while several times since it has been back out. My grandson loves sitting in the exersaucer and playing with all of the toys that are around it! Most exersaucers can be used as early as 4 months. They have to be able to sit with support. 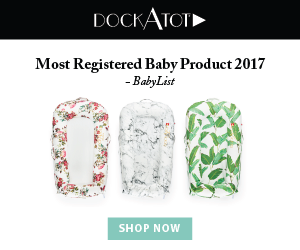 This list of toys for babies 0 – 6 months old is for all of you that are shopping for a baby shower gift, a new baby, Christmas present for a baby, or a “just because” gift for a baby. I remember during my granddaughter’s first year it seemed to me like I always needed to get her a new toy to play with. Amazon deliveries were coming regularly. There are so many things for babies to learn and each toy helps teach a variety of different things. I wanted to make sure that she had an opportunity to learn everything she needed to learn. 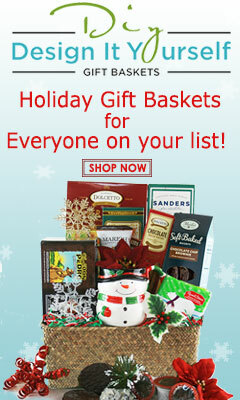 It is also a challenge to find age-appropriate gifts. 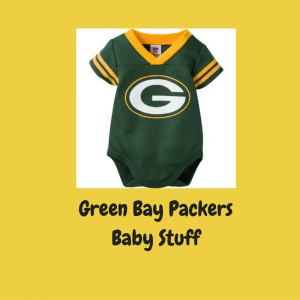 There aren’t as many items for 0-6 month olds since they aren’t really able to play too much yet. 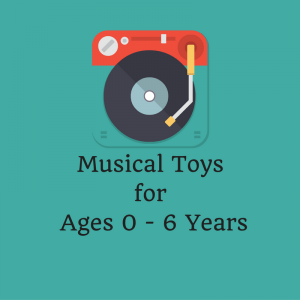 Rattles, musical toys to listen to, and things to look at seem to be what is good for this age group. What is your favorite toy for babies 0 – 6 months old? 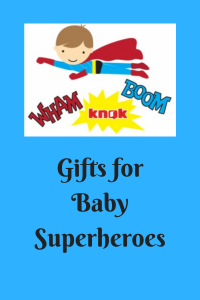 This list of gifts for baby superheroes is inspired by my son and daughter. Both of them are superhero fans. My son now has a son, my grandson, that is almost 4 months old. He is our superhero baby! I’ve even overheard my son talking about checking out his superhero powers or trying to discover what his superhero powers are. 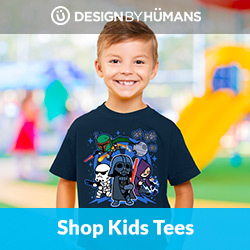 🙂 You will find lots of fun stuff here–onesies, superhero outfits, superhero bibs, superhero books, stuffed superheroes, and even a superhero walker! 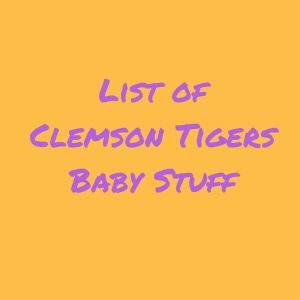 This list of Clemson Tigers baby stuff is for all of you Clemson Tiger fans! 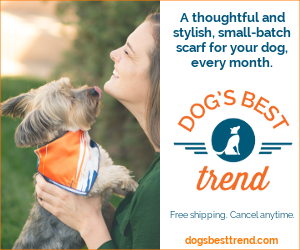 Do you know a Clemson fan that is expecting soon? 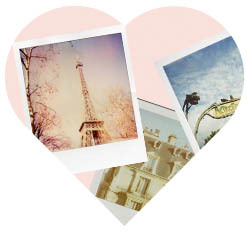 This list is also for you! 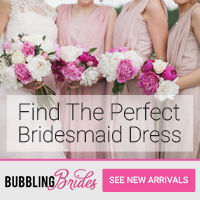 You can get onesies, gowns, pacifiers, crib bedding, books, diaper bags and so much more! You can even get a Clemson travel highchair! My daughter will graduate from Clemson in December. 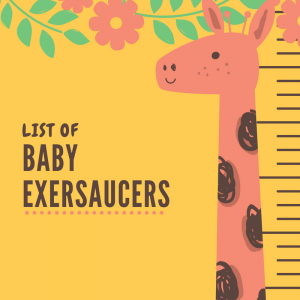 I imagine we will be purchasing many items from this list for my future grandchild.